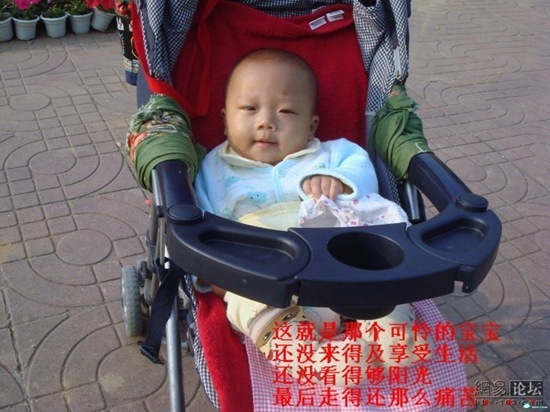 A 5-month-old baby died in a hospital amid pleas for help from his parents while his doctor played video games online in eastern China, health authorities said Friday. An investigation showed Dr. Mao Xiaojun was playing an online version of “Go” on the night shift and did not take the parents’ pleas for help seriously, the Jiangsu province health department said in a press release. “When efforts were being made to save the baby, the mother got on her knees in the doorway of the ear, nose and throat department and pleaded for help,” the statement said. […] The health department looked into the baby’s death after complaints about the doctor playing online games hit the Internet. The incident has focused attention on negligence and malpractice in hospitals. On Tuesday, officials at Zhongshan Ophthalmic Center at Sun Yat-sen University said that three of 10 patients who underwent procedures to correct myopia, or nearsightedness, on Oct 21 became infected because the center had used the same laser machine for experiments on animals. Since 2002, more than 10,000 lawsuits over medical disputes have been filed in China each year. Health experts have called for medical staff to improve their skills, and for quicker healthcare reforms. 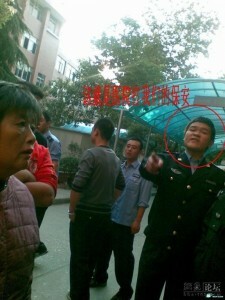 Translation of caption: This is the public security guard who beat us.